Wooden sheds are a surprisingly versatile addition to your home. Functional, attractive and able to increase the worth of your property, real estate experts have been suggesting it as a simple way to boost the saleability of homes or just add something that they can use while letting value accrue. But what do you do with a wooden shed? Is it just a place to throw your gardening tools to forget about half the year? Actually, wooden sheds are great for several purposes, hence why the are becoming so popular. Wooden garages are usually seen as storage options, but the full potential of how they can be used are rarely understood when people have one. Sure, you could just shove some gardening tools and a bike or two in there and call it good. But then you would be limiting yourself when you could do something really effective and helpful. Can Storage - Cans can be hard to store because they take up so much space on shelves. So finding a better place for those cans is a great idea, such as in this shelving that goes in the spaces between walls, tucked into corners. Not only does it keep them out of the way while using up space that is often ignored, it it place in an area with plenty of studs, making it more sturdy. 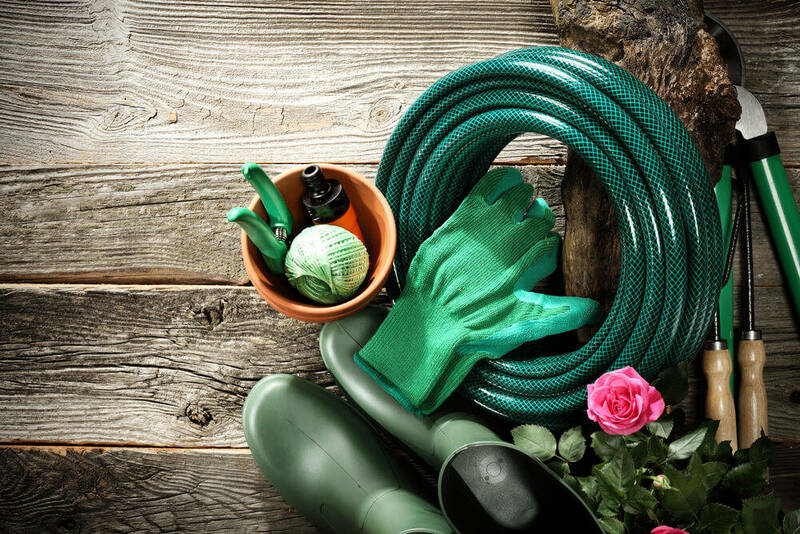 Gardening Tools - As you can see here, gardening tools are a common item to store in a wooden shed. They have chosen to place some PVC pipes (something you will be seeing a lot on this list) and using them as holders to keep tools nearly hanging on the wall and off of the ground. The double point of contact makes it sturdy, rather than letting them rattle around on the bottom. Metal Strip Holders - Don’t just want wood? Why not magnets? This installs a couple of metal strips along the wall and uses magnets to secure the items onto it. Alternatively, you can purchase magnetic strips that can be used alone to attach metal items directly. The only issue with that is the strength of the strip. You want something that will hold well, which means finding a strip that is measured for heavier weights. Sports Baskets - Tired of tripping over basketballs every time you walk through your yard? This is a cute idea that attaches baskets to the doors that can hold all of the sports items used by your family. It provides a convenient way to clean up and get what is needed when the kids head back outside. This idea could be used for skates as well. Extension Cords - Here is another option for PVC pipe...hanging extension cords. While useful, extension cords are among the most annoying items to store. This attaches pieces of plastic piping to the wall and wraps the cords around them to keep them from getting underfoot. No more tripping over wiring or having to untangle the cord for every use. Not so interested in storage? 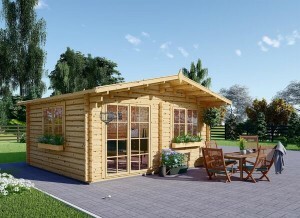 You could use the other popular idea that has been circulating the web: garden rooms. These are little houses made out of storage sheds, either as standalone rooms or as guest houses. 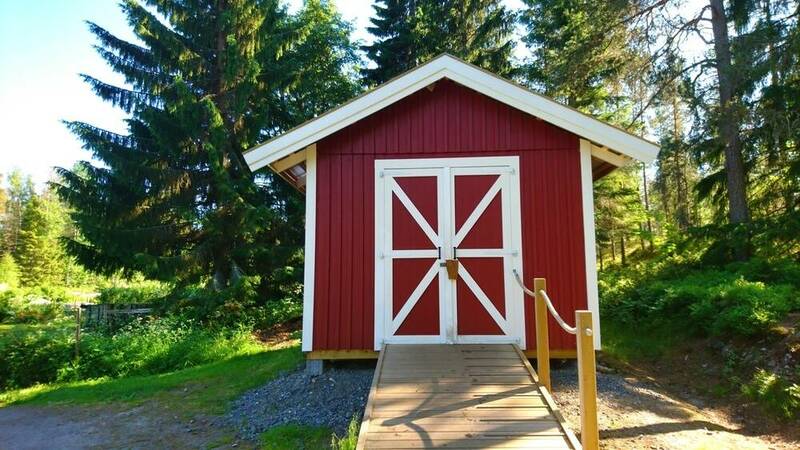 Wooden sheds are surprisingly easy to convert for these purposes. Just imagine being able to offer your family or friends a place to stay for short holidays. 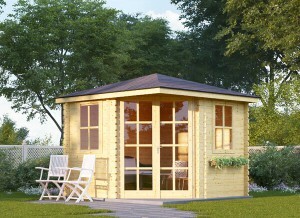 Or a room to retreat to any time of year to enjoy the quiet and solitude of your garden. Many prefabricated sheds can be made with customizations in mind. Entertainment Room - Want somewhere to watch a movie or a game without disturbing the rest of the house? This entertainment room has a couch, a TV and a snack fridge, everything that is needed to enjoy a night on a sofa. Sometimes it is these simpler ideas that are the most rewarding. Tiny Loft - A much more elaborate idea, this started with a shed but became something much more. They converted it into an entire house complete with a loft and a kitchenette. Notice how they have compacted everything so well, making use of every bit of space they had. Mini House - There are many manufacturers who offer wooden sheds with windows that can be turned into these little houses wholesale. What is inside? Who knows, maybe it is a home office, or a guest room, or a reading nook. What matters is that it all started with a standard double sized shed. 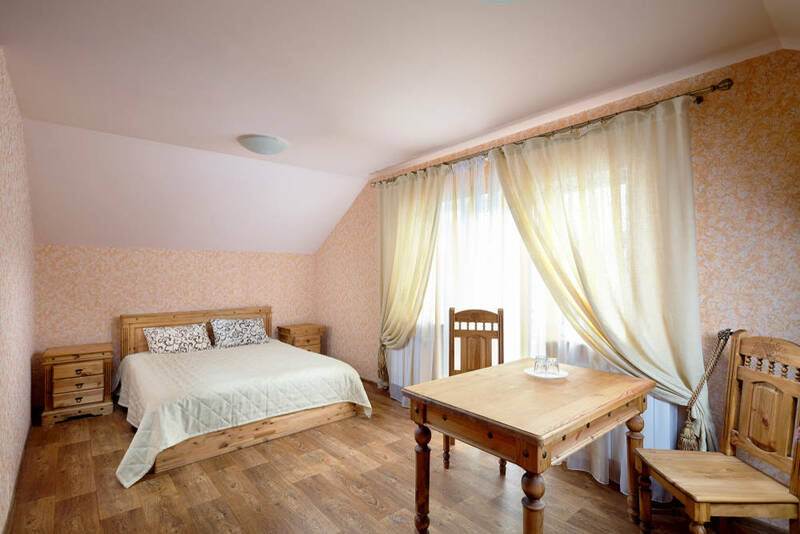 Single Room - An adorable idea for an additional bedroom without any frills. To make this work you would want to weatherstrip the windows and make sure you have some added insulation on the interior to make it a comfortable temperature, unless you live in a region with a more moderate annual climate. Otherwise all you need is some nice flooring, a bed and a couple of curtains. 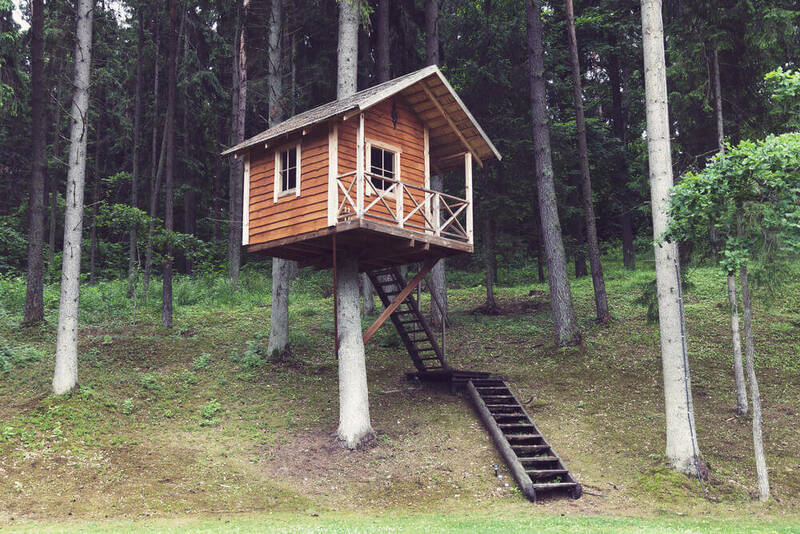 This could even be an AirBnB style idea to make a little extra cash. Little Cabin - The owners of this cabin made it in a couple of weekends, attaching two different sized sheds and opening up the walls between them into different rooms. It is sweet, was relatively easy and they did it all DIY without too much of a budget. It really shows how creative you can get. As you can see, there is a lot more that can be done with a wooden shed than you might have supposed before. You can create the perfect storage solution for any of your needs. 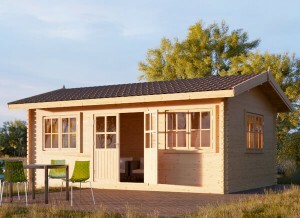 Or you can create a small guest house that is nice for short holiday stays. The rest of the time it can operate as a garden room for relaxing in year round, enjoying your garden even when it is snowing. Who knew you could do so much with so little? And all for the low cost of a wooden shed!